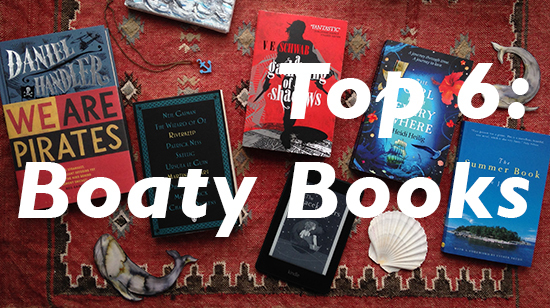 This rainy summer, why not sail away on a sea of words/flood water with one of these wonderful boaty books! 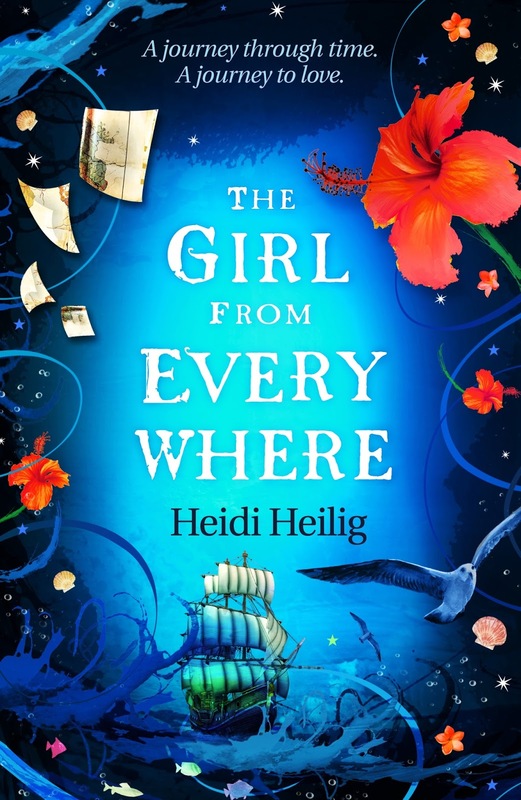 This book is set in a version of the world, which is now mostly underwater so some people live on islands, Landlockers, but most people, Damplings, live on boats. North lives and works on a circus boat, which travels around islands, where she performs with her bear as one of the acts. Callanish lives in a house in the middle of the ocean, where she conducts funerals for Damplings. Their paths cross and they are drawn back to each other because they share something special in common. I especially loved the book for its selkies/seal-people element, which may or may not be the special thing in common. I think it'd make for a good film, but only if it had a weird director to bring out the surreal-ness of the story. Perfect boaty reading! Nix Song lives on a pirate ship with her father and their crew, spending their days using historical maps to time travel to those places and times collecting fantastical creatures and mythical objects from all around the world. Nix is sixteen, and is particularly good at finding the perfect maps for time travelling, as each map can only be used once. The story begins in India in 1774, travel to present day New York, and then to Honolulu 1883. Most of the story plays out in Hawaii, where Nix's late mother once lived, her father desperate to find a map to take him back to the time before her death. 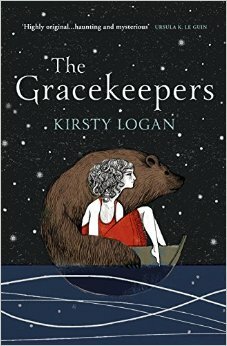 Definitely recommended reading for anyone who loves Pippi Longstocking, Lyra of Northern Lights fame, and pirates. Boaty AND summery! 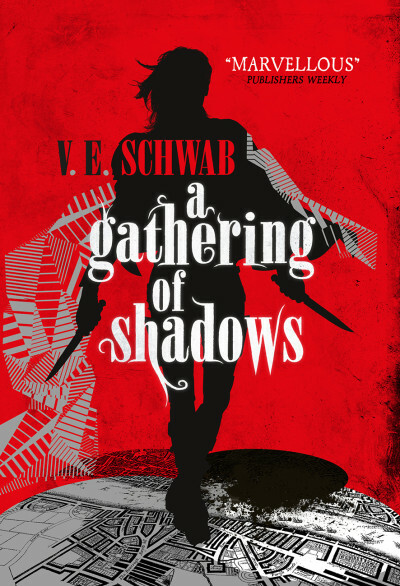 A Gathering of Shadows is the much anticipated sequel to A Darker Shade of Magic, so definitely read that one first, also SPOILERS ahead! This sequel takes place four months after the events of book one, and spans several months too, so we get a real feel for the wider world. Lila is the more central protagonist this time and she has essentially become a pirate and it's great. She has also been practicing magic under the tuition of her ship's captain, Alucard Emery, and learning as much as she can about Red London. Back in the city itself, Kell and Rhy are under much closer protection after both almost dying to defeat the Dane twins in White London, with Prince Rhy busy planning the massive international event, The Element Games, to be hosted in the city, and Kell essentially just pining after Lila. Perfectly piratey! 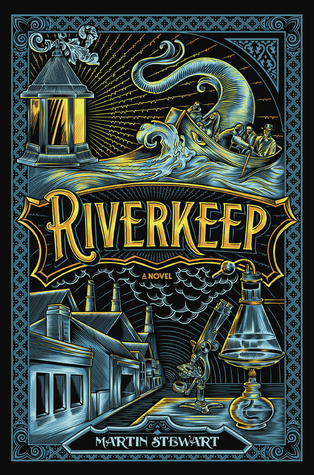 The story follows fifteen-year-old Wulliam, who is about to inherit his father's role as Riverkeep, which involves tending to the river's ice in winter and a lot of fishing out corpses too. A dark spirit possesses his father one night, which sets Wulliam on a journey away from his one know corner of the river, to row down the river's mouth and hopefully find a cure in the belly of a giant sea creature called the mormorach. Wull picks up fellow travellers along the way, each on their own journeys, with their own problems to solve and wisdom to share. This book is so boaty that the main boat, Wull's bata, is essentially a character in itself. 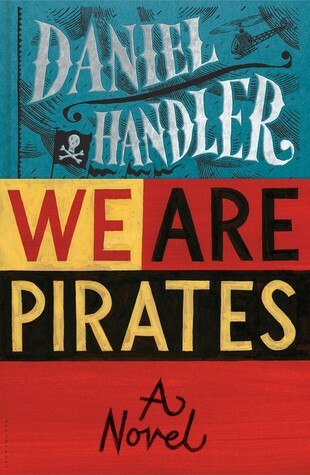 This is the first Daniel Handler book I've read, having of course read a lot of his work as Lemony Snicket. On the cover there is a quote from Neil Gaimen saying it is "the strangest, most brilliant offering yet" from Handler, and strange it truly is! It is dark, witty, weird, disturbing, charming all at once, which is fairly disconcerting, but it's an entertaining read throughout. Handler's quirks are ever present in his writing as they are when he's Lemony Snicket. It takes place in such a 'normal', mundane, modern setting that the story really takes you by surprise. It is certainly not piratey in the way you might expect, but definitely boaty! I read this in one sunny day, sitting in a particularly good spot in the park. I love Tove Jansson for both moomins and her novels, so I've been ticking off and rereading her adult fiction. 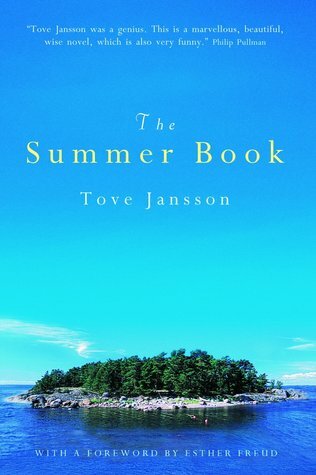 It is beautiful, simple, witty (I was caught giggling a few times, the Study of Angleworms particularly tickled me), set on tiny holiday island in the gulf of Finland with the relationship between six-year-old Sophia and her grandmother the focus. It doesn't grip you with action and adventure, but instead enchants you with its humour and charm. The quote on the back from Esther Freud sums it up rather well: "Eccentric, funny, wise, full of joys and small adventures. This is a book for life." Plenty of lovely boaty island adventures to sail away on.